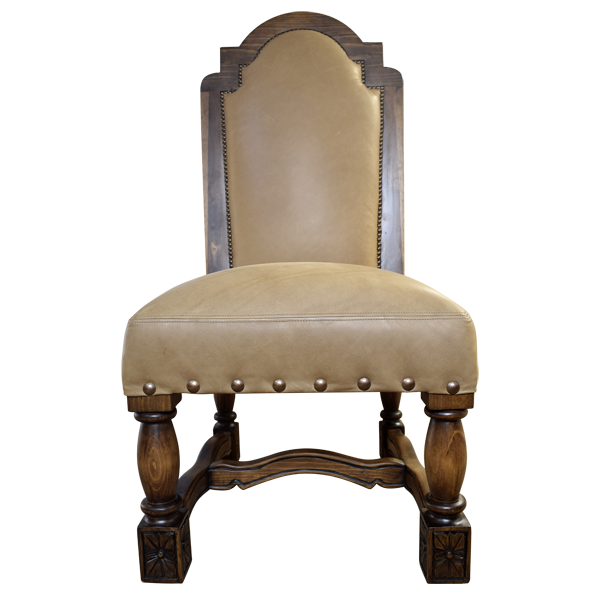 This handcrafted chair has a great sense of style, and with its neutral, beige colored upholstery it will blend easily with your existing décor. 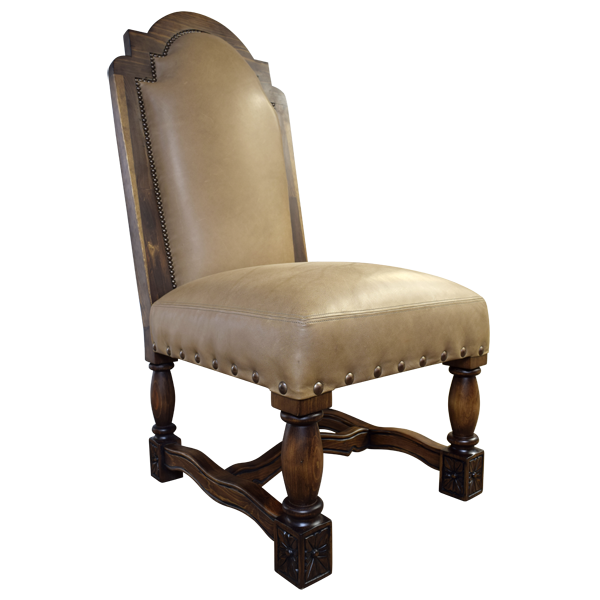 The seat and both sides of the seat back of this custom chair are upholstered in beige colored, full grain leather. 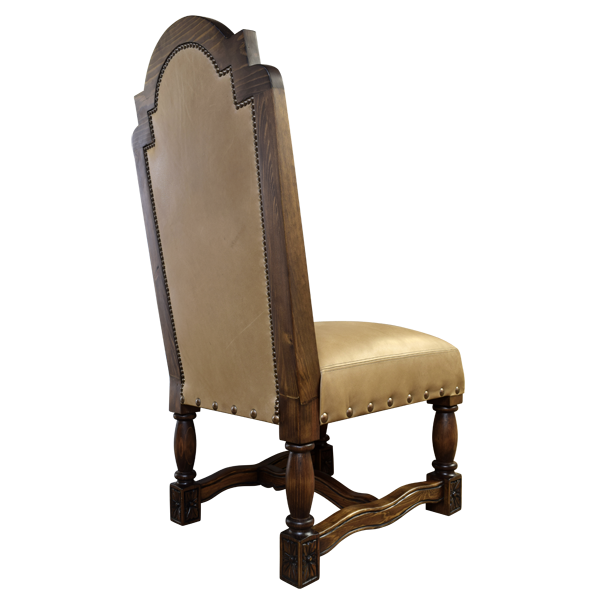 The upholstery is precision hand tacked to the seat with large, decorative nails, and the seat back is hand tacked with small, decorative nails. 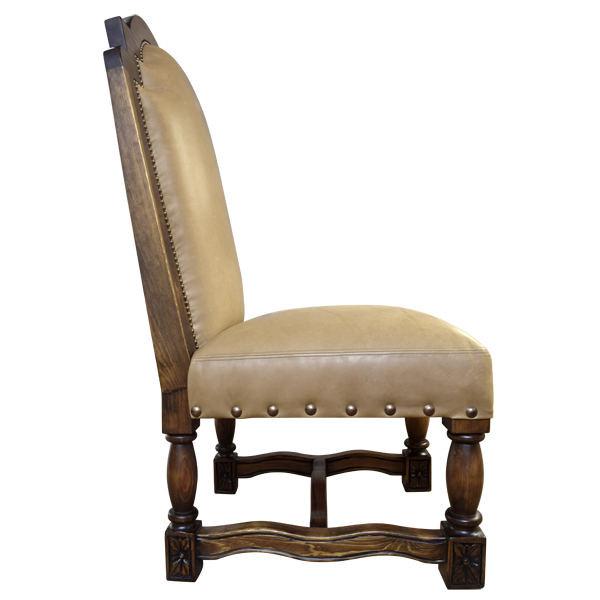 The legs are hand turned, and are joined by a curved, “H” shaped, wood turned stretcher. The front legs terminate in block feet. 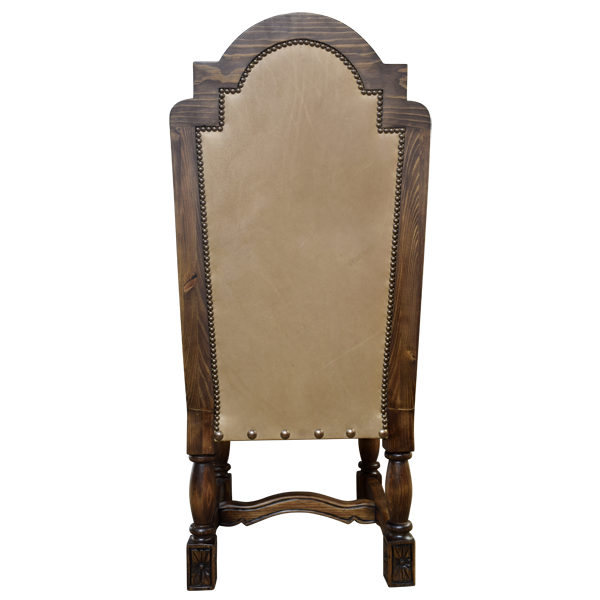 The chair is made with the best, sustainable, solid wood available, and it is 100% customizable.